characterised by courage, hope, generosity and love. Welcome to our website created as a dedication to the humanity and selflessness of all organ & tissue donors, and to acknowledge the great courage and determination shown by all involved in the movement in the face of great personal adversity and challenge. This website gives a voice to, and helps meet the humanitarian and personal needs of donor families and recipients, as well as giving comfort, inspiration and hope to all who share in this common cause. When we decided to undertake this "Strange Boat" project, its initial aim was to remember our son Éamonn who died in a road traffic accident in the Summer '06 and to raise awareness of the need for organ donation. As were his wishes, Éamonn's organs were donated for transplantation and, although it was not an easy decision to make at such a difficult time, we understood the gift of life it represented to people awaiting transplants. For us, Éamonn's parents, there continues to be great comfort in the knowledge that the legacy of his last act reflects the courage, compassion and generosity with which he lived life, and the spontaneous outreach and love he had for people. As befits the beauty of the life that was lost, Éamonn's noble and generous gesture has given four people a second chance to live full and healthy lives. By undertaking this project in memory of Éamonn and all organ & tissue donors, we feel it is a fitting way to celebrate their lives, recognise their contribution and honour their memories. 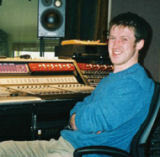 Éamonn worked as a sound engineer in Spiddal, our home village and as music was his passion we decided that music should be central to any project we would undertake in his memory. In early 2006 he had suggested to singer and good friend Eleanor Shanley that she should record the Waterboys' song Strange Boat, but we were not to know then that Eleanor would record the song, but under very different circumstances. One year following Éamonn's death, Strange Boat was recorded by Eleanor with the extraordinary and enthusiastic support of musicians Mike Scott who co-wrote the song with Anto Thistlethwaite, Alec Finn, Sharon Shannon, Paul O'Driscoll and singer Eddi Reader. The main aim of this recording of Strange Boat is to promote organ donation awareness. Read more about the CD. You can listen to an excerpt from the CD here (double click on the arrow). This recording then became the inspiration and catalyst for the setting up of this website, www.strangeboat.org, which will help promote organ donation through focusing on people and their stories - donor families, recipients and those people awaiting organs. It is also hoped that considerable benefits will be derived from such a dedicated website, by providing a forum that will further the aims and aspirations of all involved in the organ donation movement.